Airtel is planning to launch a hybrid DTH STB to combat Jio DTH service. Last week, the picture of the Reliance Jio set-top box leaked which confirmed that Jio is planning to launch a direct to home TV service in India and this news shook the entire DTH service providers in India. Now it seems that Airtel is also planning to compete with Jio Dth in this sector. According to a TelecomTalk report, Airtel will soon launch a hybrid DTH STB to support online surfing and DTH on Wi-Fi or fiber optic cable. We know that Airtel is using the V-fiber Internet service across the country and that the DTH service could also be towed. The report continues that Airtel is in the discussion with the dominant global content provider to consolidate its services with the next DTH service. Earlier, there were rumors that Airtel and Netflix could deliver partner content services. If this proves to be true, it will certainly be a significant disruption in the country. Obviously, Airtel is trying to start Hybrid DTH set-top-box to gain revenue from the growing online content segment and to revolutionize the telecommunication sector. 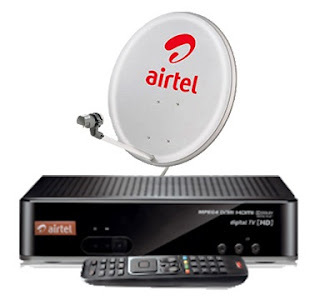 According to the report, Airtel is in the final testing stage of its new Hybrid DTH set-top boxes, which means that the launch will occur in the near future. Now the Airtel DTH service has 12.5 million customers and is a leading provider in this market segment.